Inspired by a well-known Chinese symbol, the Black Tao Tai Chi Sword brings yin and yang to life in a sword the ancient masters would be proud of, the traditional design of this tai chi sword inspiring balance and peace of mind. 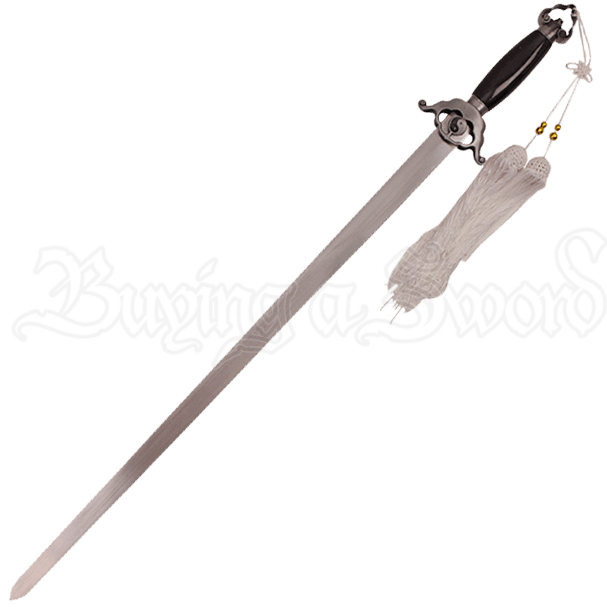 Crafted using fine stainless steel, this ancient warrior blade is robust yet elegant, much like the culture it hails from. A smooth black hilt hosts sleek metal accents that bring the ancient world into modern times. A yin yang symbol sits prominently in the center of the guard, bordered by a cloud design commonly seen in ancient artwork. 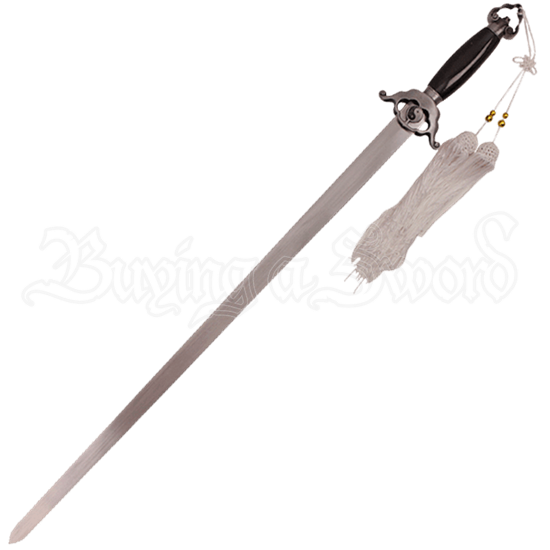 The pommel holds two large tassels, colored white to bring balance to the sword. A wooden scabbard comes equipped with similar details including the white cord strap to match the tassels contrasting against the black wood construction, a vision of harmony and peace. Whether you want to bring balance to your home or collection, no other piece will bring harmony quite like the Black Tao Tai Chi Sword!